Banksy delighted crowds at World Travel Market today in London after setting up a stall in the Palestine stand that showcased a new piece of artwork. This work features a replica of the 400-mile wall built by Israel along the West Bank. 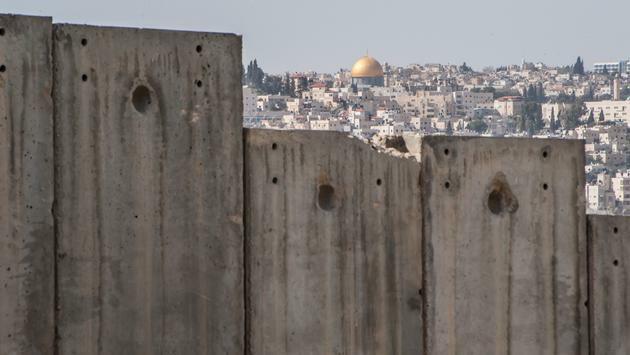 Two angels, one symbolizing Israel and the other Palestine, are separated by the wall. The Palestine stand is one of the smallest stands at the World Travel Market event, but crowds descended upon it this morning to get a first-hand look at Banksy’s newest piece. In 2017, Banksy opened the Walled Off Hotel, a small 10-room hotel that sits on the barrier wall in the West Bank. Publicity from this Banksy piece is sure to draw attention back to the property. The opening of the Walled Off Hotel was meant to spark dialogue, and thanks to Banksy's newest piece of work this will continue to happen.